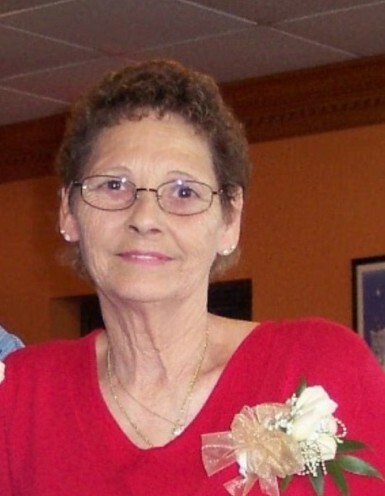 Lonnie “Faye” Wiseman, 73, passed away on Friday, April 5, 2019. She was born April 6, 1945, to Cleveland and Ethel Burrow. Faye was always a hard working lady who enjoyed working in the yard and playing slot machines. She loved traveling to see family and loved spending time with them. She was preceded in death by her parents; husband of 54 years, Louis Wiseman; brother, Cleveland Burrow; and sister, Donna Thomas. Survivors include her sons and daughters in law, Frank and Laura Wiseman of Brookland, Robert and Allicia Wiseman of Marmaduke, Rondel Wiseman of Missouri, Kevin and Kaela Wiseman of Dixon, MO; brothers, brothers, Bob Burrow, Bill Burrow, Harold Burrow, Danny Burrow, Curtis Burrow, Lowell Burrow, Mervil Casteel; sisters, Bonnie Shelton, Mary Hutchson, Margaret Harmon, Kathy Burrow, Louetta Burner, Rosie Havener; seven grandchildren; and nine great-grandchildren. The family will receive friends on Thursday, April 11, 2019, from 11:00 a.m. until service time at Phillips Funeral Home. The funeral service will begin at 1:00 p.m. in the Center Hill Chapel of Phillips Funeral Home with Bro. Kim Bridges officiating. Burial will follow at Pine Log Cemetery. Kevin Hospkin, Larry Laxton, Billy Wiseman, Merle Wiseman, Kevin Harmon, Jimmy Harmon, and Adam King will serve as pallbearers.